This is based on a sample provided by the winery or organization acting on their behalf. #Winechat is wine conversation via Twitter each Wednesday 9-10pm EST (6-7 PST). 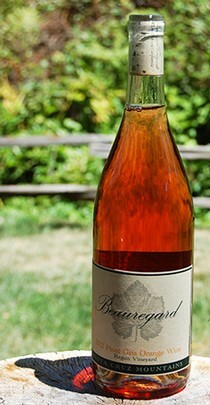 For five generations, my family has been working the land in Bonny Doon, CA growing premium wine grapes. As winemakers it is our mission to produce wines that display the flavor of our home land, and make wines that are true to their variety. My wines are simplistic in the sense that they reflect what they truly are. This is accomplished through old world winemaking techniques. 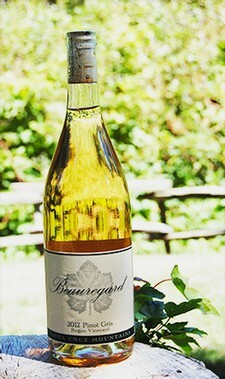 We invite you to experience the true terroir of Bonny Doon, and enjoy the typicity and purity of our wines. Much more information on the winery, their vineyards, and most importantly, their wines is available here. 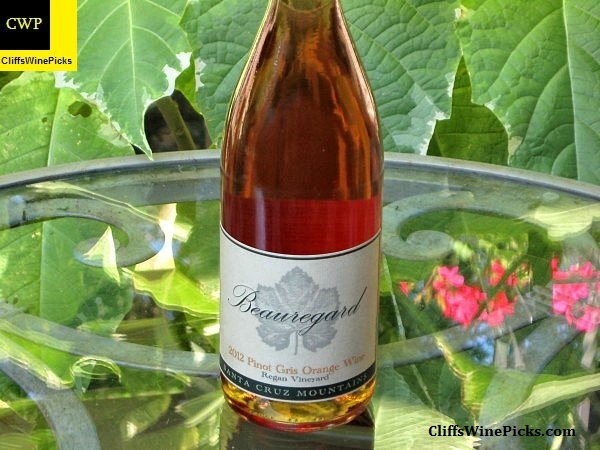 Simply stated, an Orange Wine is a wine made with “white grapes” that are treated like they were red. This includes extended maceration time which does not happen in the production of a typical white wine. This time the juice spends in contact with the grape skins allows the wine to gain color, flavor, and tannins from the skins. Orange Wine is not a new fad; they have been around for thousands of years and had a big revival in northeastern Italy and Slovenia in the 1950s and 60s. Several months ago Wine Enthusiast magazine had a feature on Orange Wines entitled “Orange Wines Will Never be Mainstream” and subtitled “But a case for why they’re more than a dying trend.” The full article is available by clicking here. Bon Appetit, San Francisco Chronicle, New York Times, and Imbibe Magazine. Here is a side by side comparison of the winery’s regular Pinot Gris and their Orange Wine. These two wines are from the same grape, vineyard, and vintage. This wine had 21 days of skin contact during fermentation and was aged in neutral American oak. The final alcohol is 13.7%. There were 240 cases of the wine produced. I sampled the wine over a few hours trying it at varying temperatures. In my opinion, the wine was best at a cool room temperature, perhaps 65 to 68 degrees. At colder temperatures the nose was fairly closed and the acidity was suppressing the palate and clipping the finish. If the wine was too warm it lost its structure and balance. This wine should be treated like a lighter body red wine and not a white wine. This wine would work with most of the foods served with fuller bodied whites and lighter bodied red wines. The winery suggests Havarti cheese and during the chat Thanksgiving dinner was brought up, which I agree with wholeheartedly.